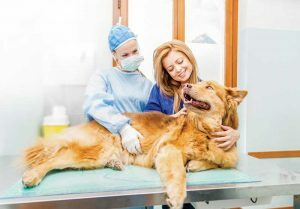 Providing appropriate pain medications and keeping animals warm and comfortable during and after surgery are important, but ensuring they come into the clinic relaxed is a new and critical component of presurgical prep. Even for minor procedures, it’s vital to survival and normal healing and recovery. Uncontrolled pain results in a number of physiological effects, including increased myocardial work, hypoventilation, decreased gastrointestinal motility, release of cortisol and catecholamines, hyperglycemia, muscle protein catabolism, effects on water and electrolyte balance, and delayed wound healing. Those are among the reasons veterinarians should identify and manage pre-existing pain from osteoarthritis or other conditions before pets undergo surgery or dentistry, Dr. Grubb said. Taking them into surgery without appropriate pain management can exacerbate the condition, especially if animals are manipulated during the procedure. Among the elements of comfort, stress reduction, and pain relief are emotional support, control of nausea and vomiting, low-stress handling by veterinarians and nurses, and a soothing physical environment. 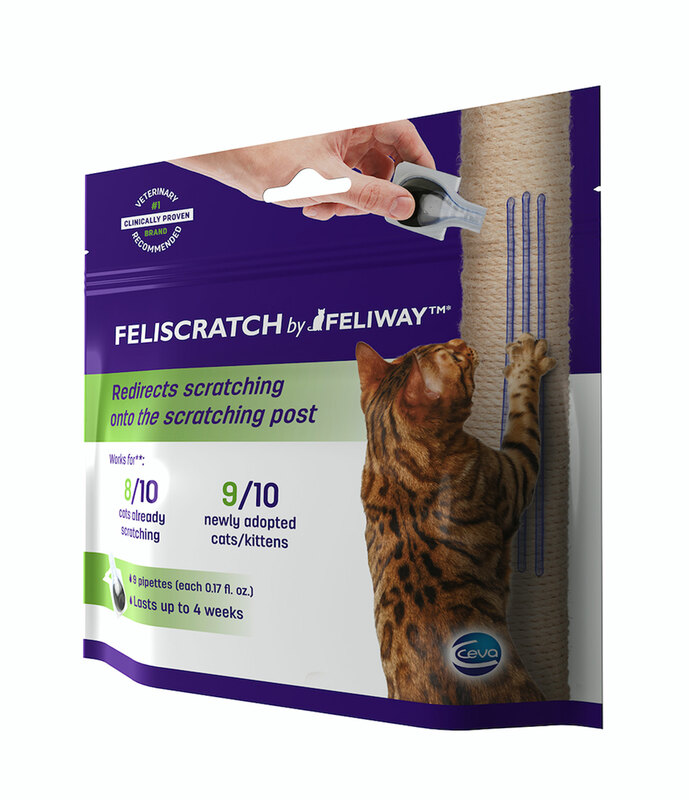 Introducing Fear Free or American Association of Feline Practitioners Feline Friendly practices into hospital management and design adds to pet comfort pre- and postoperatively, according to Michael C. Petty, DVM, in the proceedings for his 2018 VMX lecture “Care of the Surgical Patient: At Home, In Hospital and Home Again.” Those measures can include rubber flooring for better footing, especially for older animals or those with degenerative joint disease or neurologic conditions; playing calming music in reception areas and wards; placing cats in cages with separate litterbox and sleeping areas; and warm, padded exam and surgical tables. Getting pets into the clinic in a less stressful way can save lives, especially when it comes to cats. 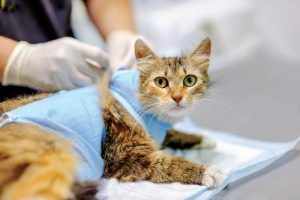 “Every study that has been published has shown cats have a higher risk of death related to anesthesia than dogs, and I think a lot of that stems from the stress level they come in at,” said Sheilah Robertson, MRCVS, DACVA, senior medical director for Lap of Love Veterinary Hospice. Having owners administer gabapentin to cats the night before or the morning of the procedure can help them remain calm and ensure more accurate physiological data, such as heart rate and blood glucose levels before administering anesthesia. A study of 20 healthy cats published in the Nov. 15, 2017, issue of Journal of the American Veterinary Medical Association found that orally administering a 100-mg gabapentin capsule to cats 90 minutes before transport to the veterinary clinic resulted in a significant decrease of stress-related behaviors during transport and examination. The cats also were less aggressive and more compliant. For dogs, administering Trazodone prior to arrival can have a similar effect. Animals who experience carsickness arrive stressed from salivating, vomiting, or defecating during the car ride. Prescribing maropitant to be given before they travel can help to ensure that they arrive in better physical and emotional condition. “We want owners to understand that if their pet has high anxiety or stress, that can exacerbate the sensation of pain, and if we have those drugs on board before there are any pain impulses, they’re much more effective,” Grubb said. And individual animals have specific needs. Some respond differently to pain than others. Breeds such as beagles and Shetland sheepdogs, as well as Nordic dogs, can have a reputation as “crybabies,” reacting excessively or vocally to what seem like minor procedures. You May Also Like Are you an LCD manager or an HCD leader? With practice, attributing a pain score to cats and dogs will become second nature to you and your team. A pain score is a subjective number that gauges a patient’s pain intensity based on behavioral and physiological parameters. Several pain scales are available, including the Colorado State University (CSU) Acute Pain Scale, which uses a 0 to 4 rating. Pain scoring may be used with any patient suffering from a medical, traumatic, or chronic condition such as osteoarthritis, pancreatitis, and cancer. When using the scale, observe patients before analgesics are given and before any procedure is performed, including restraint for blood sampling or catheter placement. Every patient has a specific pain threshold. Implementing a pain score in your practice increases the entire team’s awareness. Pain management protocols may be tailored based on a particular procedure or patient, and pain medications can be modified as the case unfolds. A pain score of 0 or 1 is the goal. A score of 2, 3, or 4 should lead to an immediate reassessment of the analgesic plan and better understand what is happening to your patient. A pain score is not a static number. It is a dynamic concept that evolves over time depending on patient characteristics, procedures performed, pain medication protocol, dosing schedules, and use of constant rate infusions. A treatment sheet should have an entry to re-evaluate patients’ pain scores every few hours. No pain present. Patient is happy, acts normally, moves comfortably, has a normal appetite, and (if applicable) does not bother the surgery site. 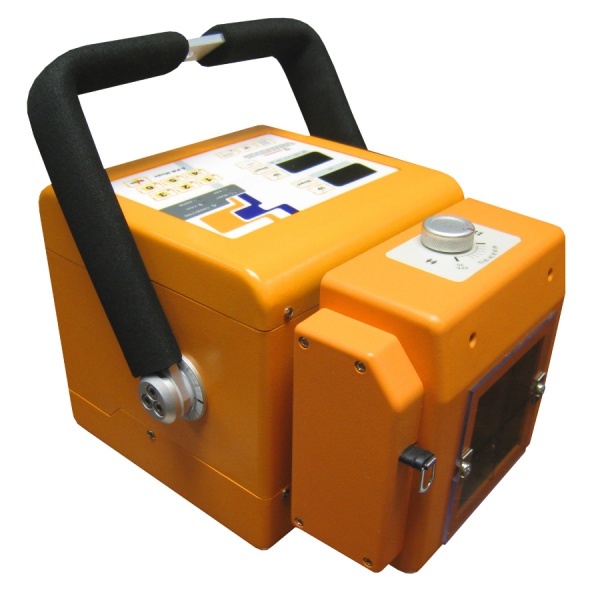 Temperature, pulse, and respiratory rates are normal. Mild pain present. Patient shows a slight limp, difficulty getting up/down, or a slight increase in TPR. Patient is eating and not depressed. Tail is wagging. Moderate pain present. Patient shows sensitivity and may lick or chew at the surgical site or wound. The patient may vocalize, refuse to eat, and seem depressed, and its respirations are slow and shallow. Severe pain present. Signs include depression, reluctance to move, and sensitivity at the surgical site or wound. Patient usually won’t eat and may vocalize and lie down but not sleep. Excruciating pain present. Patient shows all pain score 3 signs in addition to intermittent panting, increased TPR—even at rest—constant vocalizing, profound depression, dilated pupils, aggressiveness, and deep breathing. New drugs, animal reactions to drugs, the opioid shortage, and controlling nausea and vomiting all affect how pets are anesthetized. New takes on old protocols make a difference, too. Cats, of course, are poster children for special-needs patients. They respond to opioids and NSAIDs differently than dogs and need lower dosages. In the case of sedatives, just the opposite is true. Cats are more resistant to sedatives, Grubb said, and require a higher dose for those drugs to be effective. Cats have some new options coming up. 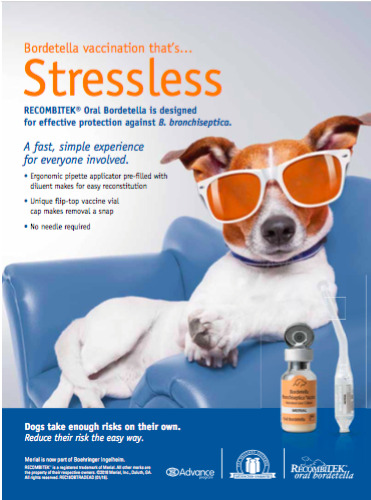 A drug called Nocita, currently available only for dogs, offers three days of analgesia from a single injection. A favorable report on the drug from the Food and Drug Administration means it is likely that Nocita will be approved for use in cats soon, said Dr. Robertson, who describes it as “a huge breakthrough in local anesthesia.” Another newer option already available for cats is a long-acting formulation of the opioid buprenorphine, marketed as Simbadol. 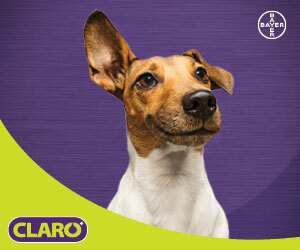 Some dogs also may respond differently to certain drugs or doses of drugs. In particular, Nordic breeds such as Siberian huskies or Alaskan malamutes may experience these effects, becoming dysphoric under higher doses of opioids. One study of 20 healthy cats found that orally administering a 100-mg gabapentin capsule to cats 90 minutes before transport to the veterinary clinic resulted in a significant decrease of stress-related behaviors during transport and examination. The cats also were less aggressive and more compliant. Grubb said. An old drug, ketamine, traditionally has been used as an anesthetic but is now used in pain management. A constant rate infusion of ketamine decreases the overall sensation of pain and allows analgesic drugs to work better. Preemptive analgesia depends on the patient and procedure, as well as other factors. Options include opioids and/or dexmedetomidine in the premedication protocol; a locoregional anesthetic technique such as infiltration, an epidural, or a peripheral nerve block; or a ketamine CRI, Dr. Boesch said. Preventing or reducing any postoperative nausea and vomiting (PONV) are also an important part of limiting postsurgical pain and discomfort. Medicating animals with maropitant preoperatively may help to prevent PONV, limiting adverse effects such as dehydration, electrolyte imbalances, and aspiration pneumonia; decreasing agitation during the recovery phase; and improving postsurgical appetite. Use of maropitant, an antiemetic, has another beneficial side effect: the ability to use less gas anesthetic. Maropitant may have an analgesic effect as well. The evidence for that is not yet definitive, but clinical experience suggests the drug reduces visceral pain in cats and dogs. Another good option is ondansetron. 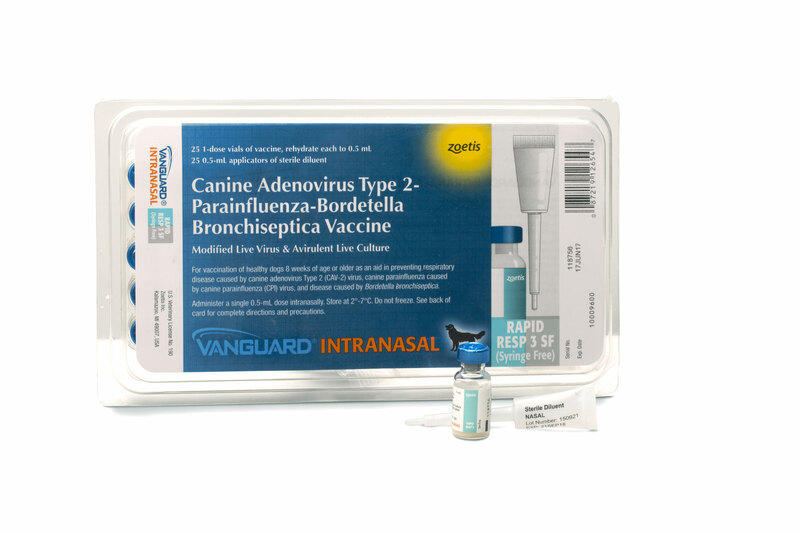 This drug can be used postoperatively for pets who still appear to be nauseous. Anesthetic drugs such as acepromazine and propofol also have antiemetic effects. 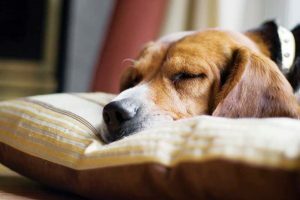 Pets in recovery or at home can benefit from deep, soft bedding. Use of “balanced anesthesia”—a combination of drugs to provide discrete elements of anesthesia such as analgesia and muscle relaxation—allows for lower dosages of the primary general anesthetic and limits the potential for harmful side effects, including depressed respiration and low blood pressure. With new drugs and computerized infusion pumps, techniques now can involve a single drug or combination of drugs administered by injectable infusion. Both partial and total intravenous anesthesia permit stable, consistent anesthesia; better hemodynamic support; smoother recovery; and analgesia as well as sedation. Nonetheless, some pets are still “masked under” to induce unconsciousness, despite scientific data showing that restraining and masking a dog down increases the animal’s risk of anesthetic death and is likely distressing for them. Similar mortality data does not exist for cats, but it is still strongly advised against. Humans are at risk, too, with this procedure. They are not only dealing with a struggling frightened animal with teeth and claws, but also are exposed to inhalant gas. Long-term chronic exposure to inhalant gas may cause health problems. “The safest way to induce sleep is to give a premedication so they are calmer, followed by an injectable drug and then the inhalant,” Grubb said. A number of nonpharmaceutical options can help decrease pet pain after surgery. The simplest is icing incisions to reduce inflammation and provide analgesia. It can be done while waiting for pets to regain consciousness as long as they are otherwise kept warm. Icing is easy for owners to continue at home as well. Suggest using a cold pack wrapped with a washcloth to provide insulation between the incision and the pack. Physical rehab techniques are an important component of analgesic plans. Acupuncture, light massage, stretching, and joint mobility techniques can be good additions to postoperative care. Pets in recovery or at home can benefit from deep, soft bedding if they have fractures or contusions or soft food if they have had teeth extracted. “The bottom line is that many options are available, and veterinarians are strongly encouraged to utilize as many of these options as possible,” Boesch said.